Well, WHG is slightly higher than South Eurasian. But I think both are noise; WHG is more likely to be EHG, while the South Eurasian is probably something really old. Yes thanks, I didn't notice WHG - 3.2%. I think this kind of homogeneity would be impossible if the Armenian language came from Balkans in Iron Age after 1200BC. Would it be possible? I think IE language speakers came directly from Yamna. Maybe not in big number. I think the introduction of IE into Armenia was mostly due to male mediated gene flow directly from the pre-Ural steppe. But I could be wrong. I heard that there will be also ancient gnomes from Armenia soon is that true? Isn't the linguistic consensus now that armenian is from the balkans? 2) similarities between greek and Armenian. In reality, no higher order relation exists between the two, and if anything armenian appears closer to Iranian. The origin of Herodotus claim could be the result of confusion between late Armenised Cappadocians and the real Armenians from Highland. Cappadocians are related to Mushkis. Their founder father is Mazhak from Mushki tribe. In ancient Assyrian sources Phrygians are called Mushkis, and also there was another non-phrygian tribe who settled in Cappadocia and Taurus that also where called Mushkis. Historians call them Eastern Mushkis. So this confusion of common origin of Phrygians and Armenians could came from the same name attributed to Phrygians and people living East Anatolia who where Armenised in later periods. Armenian genetic profile similar with some other transcaucasian populations like Assyrians and Pontic populations. Assyrians speaks semitic language, Armenians IE, Pontic greeks IE, Lazs Caucasian Language and Pontic Turks speak Turkish now. In my opinion the influence of the IE language in the region is political rather then genetical. Probably some small powerfull tribal minorities has brought IE into transcaucasia and caused to change of language by using thier diplomatic advantages communicating with Persian-Greek and then Roman empires. All Armenian dynasties after Urartu are considered to be of Iranian origin. How can an elite related to Iranians impose a language that he does not speak? And when and at what time a powerfull tribes imposed their language? After or before Urartu, or during Urartu.? I must note that just after Urartu Armenia was not independent and was a part of Aechemenian Empire. Thanks for supporting informations of my idea. Urartu was a confederation like civilization which included many tribes in it. In my opinion there were some IE speaker tribes in that confederation but majority was speaking Hurri language. As a result of Iranian and greek influences serrounds the Eastern Anatolia, those IE speaker tribes might have diplomatic advantages at last times of Urartu. After Urartu empire collapse Iranians might deal with that tribals for Armenian Dynasty and they become new rulers. As a result of ruling culture, IE side of Armenian language might spread. But i think Armenian language was not so powerfull language untill 100AD-300AD. Especialy after the influence of Chrisitanity of Apostelic church armenian language might spread faster. As a result of missionary languege. Those are my ideas. Influence of Greek languege in eastern black sea might have similar story. There is no any proof that their original language was the Armenian. BTW the Armenian being a IE don't give any advantage to Armenians in their relations with Iranians and Greeks. Armenian is very different from other IE languages. A native speaker can’t understand any other IE language. The same was true in the past. Also there was a religious split. Iranians were mostly Zoroastrians. Armenians were not and always struggled to not accept Zoroastrianism. Armenia was a source of constant problem for Iranian rulers. They had all interest to weaken it, they gave Karabakh to Caucasian Albania etc etc. Concerning the power of Armenian language power. Strabo specially emphasize the strength of Armenian language all over the territory of Great Armenia during Artashesids It is very rare thing for countries in this period to have such a situation. If we put aside linguistics and look at genetic markers. We see that Armenians had a 30% of R1b the same subclade as in Yamna. So imagining that IE tribes where a strong minority is quite problematic if assume that Yamna is IE. You mentioned that Armenians are similar to surrounding non IE nations. I agree. But if we go further in the past and try to imagine the genetic landscape of Anatolia (removing Turkish, Iranian, Greek admixtures ) we will find that maybe old Anatolian were very similar to Armenians. And they were speaking IE languages (Hittite, Luwian, Lydian )!!! Can we assume that they also became IE due to small elite dominance? I guess, as always, the Near East has been a complex melting pot - perhaps the most sociolinguistically complex region in Eurasia. I think a lot of progress needs to be and could be made here, but is currently lacking due to being stuck in old paradigms and perhaps less familiarity of the material compared to other regions. You have a lot off expertise in those themes. I would like to know Your opinion about the possibility of Wave model of language synthesis. Is it a completely discredited idea or a it could function in ancient times when there was no strong hierarchic systems and constraints in human relations. Can languages mix or not? If we include R1b H.G. 5/7 [70%+/-]Yamnaya were either Z2103- or L584-. L584+ being a common branch found among Assyrians 60%+/- ,also found in Armenians, unlike for example R1b-CTS-7822+[Ossetians]. BTW Those who search some mysterious IE tribes that were not Iranians but were the ancestors of Armenians should probably search them under the generic name Hurrians. The are many states in these region who had a mixed Hurrian population but IE elite and vice versa. One of them is the Armani-Subartu more known Arme-Shubria. His dual name suggest that it could have Armenian and Hurrian population. "That high number of L584+ among Assyrians is most probably from Mitani"
Possible, Georgians also have L584+. It would be nice to get some Tabasaran/Lezgin R1b samples. Here is an old K8 with Lezgin. "The earliest anthropomorphic stelae date to the 4th millennium BC, and are associated with the early Bronze Age Yamna Horizon"
"Thirteen stelae, never before seen in Anatolia or the Near East, were found in 1998 in their original location at the centre of Hakkari, a city in the southeastern corner of Turkey. " "Those who search some mysterious IE tribes that were not Iranians but were the ancestors of Armenians"
It's just a personal pet theory but I think R1b may have spread with copper miners/artisans so is there copper in the regions Armenians are originally from? A state attested by Hittites called Hayasa is thought to be related to Armenians. Hay-asa means the land of Hay. The Hay is the endonym of Armenians. We call ourselves Hay. This state is in the mountainous region near Black Sea. This region is known for his rich copper mines. Later Greeks called these region people by generic name Chalubes. Chalubes were well known as a good metal artisans. Another region rich in copper mines is the today's Republic Armenia north. Till today this mines function and produce copper. An unknown polity based in Ararat Valley controlled all this mines in the North. It is 150 km away from Metsamor (Ararat Valley near Yerevan) but we have archaeological proofs that they were moving non rich copper rocks to Ararat Valley perhaps on chariots or mules. Metsamor culture is a Late Bronze age culture 1500BC. There is a theory that links the Armenian endonym with PIE *hayos meaning metal. Hay would mean metal workers. But I don't accept this etymology. "You have a lot off expertise in those themes." "I would like to know Your opinion about the possibility of Wave model of language synthesis. Is it a completely discredited idea or a it could function in ancient times when there was no strong hierarchic systems and constraints in human relations. Can languages mix or not?" Ive explore all options, and cannot look past the conclusions - at least the communis opinio - of the expert linguists :: Indo European languages are indeed "genetically' related. Earlier ideas of language mixing, creolization, etc are untenable fro various reasons - not the least because mixed languages are actually very rare, and there is no reason for why people c. 4000 BC needing to have suddenly produced a mixed language or creoele. Its not like a whole bunch of people from different regions were taken a placed in a new land and forced to work plantations. But I agree with your other observation, language spread occurred due to many reasons, esp in preliterate, pre-beauracratic days. Old fashion migrations is only one way, on the one hand and ideas of 'elite conquest' as repeated ad nauseum for PIE are overused and lack any methodological framework and strong empirical data to support it in individual cases (although Im sure it happened). But whilst the family tree model - sensu latu - is correct, it has nevertheless constrained and limited progress on language expansion, becuase historical linguists, geneticists and archaeologists alike still very much treat language groups as distinct organic collectives. I think ideas still being advanced (by big name scholars) like proto-Anatolians being "represented by the Ezero culture", Baden being proto-Italo-Celtic and Catacomb being "Indo-Iranian", Afansievo being 'proto-Tocharian' etc are not only simplistic and outdated, but are overtly wrong on multiple levels; as is the idea that there was a coherent distinct "PIE culture" and 'ethnos". I'm curious why you think that? I've read the classic paper on Mycenaean and the illusory nature of Proto-Greek, but why do you think this applies to Armenian and Indo-Aryan? In the case of Indo-Aryan there are definitely some signs of merger of distinct dialects - the treatment of l and r is the first thing that comes to my mind. But I don't see that this rules out the existence of Proto-Indo-Aryans in a broader sense, or for that matter Proto-Greeks: the people speaking the IE dialects that gave rise to Greek could have arrived in Greece from more-or-less the same region as a result of more-or-less the same historical process. Some language families *do* arise from "primary branches", e.g. there really was such a thing as Proto-Romance, associated with a distinct ethnos, with a quite specific area of origin from which it spread over a historically quite short period of time. I compared the levels of Near Eastern admixture among Yamnaya, Corded Ware and Lithuanians in the supervised West Eurasia K8 test and the unsupervised ASI K7 test. So Corded Ware have the most Near Eastern ancestry in both tests, and Yamnaya the least. In fact, the Yamnaya score as a percentage of the Lithuanian score in both tests is almost the same: 86.54717933013902 vs 87.43153151841888 (difference of only 0.88435218827986). However, the Lithuanian score as a percentage of the Corded Ware score is less similar: 87.3414309250869 vs 90.24186789942902 (difference of 2.90043697434212). - the Near Eastern admixture in the Corded Ware contains more of the hunter-gatherer type stuff from the Near East, while the Near Eastern admixture in the Yamnaya is more Basal Eurasian.
" but why do you think this applies to Armenian and Indo-Aryan?" I do think Indo-Aryan existed. But I don;t think it existed from the outset, ~ 4000 BC, but evolved considerably later. Armenian later still. But by then, there was no 'PIE', but rather intermediate loco-regional (west asian) IE intermediaries - now lost. "But I don't see that this rules out the existence of Proto-Indo-Aryans in a broader sense, or for that matter Proto-Greeks: the people speaking the IE dialects that gave rise to Greek could have arrived in Greece from more-or-less the same region as a result of more-or-less the same historical process"
Yes I agree. But those initial arrivals (from whatever original homeland, and whatever the exact 'cause') to the Aegean and central Asia weren't yet proto-Greeks, nor Indo -Aryans. "Some language families *do* arise from "primary branches", e.g. there really was such a thing as Proto-Romance, associated with a distinct ethnos, with a quite specific area of origin from which it spread over a historically quite short period of time." So, eg, there was proto-Greek in 1500 BC, and tis was obviously associated with the Mycenean ethnos - however defined. But there was no proto-Greek in 2500 BC. Correspondingly, the Ezero culture, say, was not the Graeco-Anatolian language branch, as some would say. Also for proto-Romance, there was obviously Latin - or more correctly - the vulgar Latin spoken throughout the Empire. But there was no proto-Italic, apparently. Rather, Italic developed in Italy, through convergence of similar but distinct earlier IE languages that had arrived to Italy, during the Bronze Age, presumably. (eg Ramat, Garrett). So if Yamnaya has least near eastern, but most west asian; that should imply that the "west Asian" teal admixture is correspondingly from East of the caspian ? Yamnaya have Near Eastern admixture from wherever Near Easterners had much higher ratios of Basal Eurasian ancestry than the Near Eastern ancestors of the LBK and other early European Neolithic farmers. I have no idea where this Basal Eurasian rich Near Easterners lived. It might have been east of the Caspian, but why? Wouldn't Basal Eurasian ancestry peak closer to Arabia? I haven't checked this, but it seems to me like Georgians have a relatively high ratio of Basal Eurasian. If I'm right, and like I said I haven't checked this, then the ancestors of the Georgians would be the natural source of the Basal Eurasian rich Near Eastern admixture in the Yamnaya. This is actually supported by my f4-based qpAdm analysis. So the interesting question then is where did these Basal Eurasian rich ancestors of the Georgians and Yamnaya come from? It seems unlikely that they were native to the Transcaucasus. My feeling is that many of them came from Mesopotamia, because I'd say that's the only place outside of Arabia where Basal Eurasian ancestry reaches high levels. This is of course also where most people place the origins of the Maikop culture. Of course, others might have come from Iran or even further east, if the formation of the Maikop people was as international as latest archeological analyses suggest. But the source of the high Basal Eurasian can't be from east of Iran. It has to be from somewhere close to Arabia. The teal component is a somewhat different issue, because it's a composite that might have formed late in the North Caucasus, perhaps among the Maikop people. Oh i see what you mean now. I missed the NE Hg vs basal split. It must have to do with Uruk expansion from Mesopotamia to Caucasus foothills. Whilst some people also moved north, I think Majkop was largely a 'native' (ie Nth Caucasian) affair. Culturally, there is a clearly dichotomy between north and south, although undoubtedly part of the same processes of metallurgy, etc. A study suggests that human came out of Africa trough Egypt and not trough Horn of Africa. Thanks. I didn't knew this paper but I read before about the contacts/trade of Maykop with South Central Asia. It seems that neighbouring Kur-Arax had also a lot off contact/trade with Volga basin. The common ancestor of Armenian and Bashkir G1 is perhaps the result of this trade. But this period is too early (yet very important) for understanding the genesis of Armenian nation as IE people. I think the process started just after the end of Kura-Arax (2500BC), when a new type of IE like cultures appear in Armenia. I think a lot about how Armenian language appeared but something hinder me to finalize the puzzle. That is why I am open to every kind of theory even the most weird one. Then I test them and look do they work or not. The Armenian has the characteristics of all it's neighbouring nations so for me it is obvious that it is product of the region where it evolved. In another place there would be no Armenian there would be something different. So all that Balkanic stuff is a nonsense for me. Even if some bearers of IE came from Balkans they came long before 1200 BC, and not after it. So I hope the genetic studies will put an end to this speculations and we can start a more sane study of Armenian. BTW Mike, I agree with You that perhaps the age of Anatolian languages is inflated by the substrate. The Hittite is not as old as one can expect. It just changed a lot under some neighbouring influence. The same happened with Armenian. The Armenian language has no genders at all, has a phonetic system similar to Georgian ( and the Georgian himself perhaps changed a lot under IE influence ) , is rich in consonants, has a very flexible morphology. In some cases all variants of SOV are normal for a Armenian. SOV/SVO/OVS. The Armenian language dislikes words starting with R as in the case of Hurrian. Etc etc. I organized ancient West Eurasian Y DNA into a spreadsheet. I didn't really see a reason to add Upper Palaeolithic Y DNA, but I might. I don't really trust all of Felix's work. Some of his results contradict results academics got. And here's a spreadsheet of ancient West Eurasian mtDNA. Armenian, or its predecessor, might have come from the Balkans, or maybe not. But we cannot decipher this on the basis of relations of modern languages, or even those attested in earliest scripts. By then, they had already evolved considerably. "Yamnaya have Near Eastern admixture from wherever Near Easterners had much higher ratios of Basal Eurasian ancestry than the Near Eastern ancestors of the LBK and other early European Neolithic farmers............"
Yamnaya horizon includes the older Kostenki (K14)sample. 36K+/- How are you able to show that Yamnaya are not picking up some of the admixture found in K14 30k prior? "3) ADMIXTURE shows K14 share some protion of a component in Neols and Near Easterns." Hey guys, I have access to the paper, so AMA. 1) Kostenki (K14) shows the most similarity with WHG and lesser with modern day Europeans. - The greatest affinity by f3 is with loschour, and secondarily with La Brana and Scandinavian HGs. - The greatest component in ADMIXTURE for K14 is shared with N. and E. Europeans. - f3 stats show the most affinity with Europeans. - For pairs of pop incl. European and East Asian, K14 is closer to European. - f3 results are robust to contamination. 2) All pops other than Oceanians are closer to WHG samples or MA-1 than to K14. 3) ADMIXTURE shows K14 share some protion of a component in Neols and Near Easterns." Kostenki14 doesn't have Near Eastern or Basal Eurasian admixture. It just comes from a time before the differentiation between European hunter-gatherers and Near Easterners. In fact, it has something like pre-Basal Eurasian ancestry. And it's totally irrelevant to the ancestry of Yamnaya because we have samples of Eastern European hunter-gatherers that lack any kind of Near Eastern admixture and Basal Eurasian input. As I'm sure you know, one of these hunter-gatherers comes from the Samara region, which is where all of the Yamnaya samples are from. There's really no point discussing this any further. K14 shows the exact same trend of relation to modern populations as does WHG. If he had the same Basal Eurasian as Stuttgart this wouldn't be the case. Something else is going on with K14. Admixture between East and West Eurasians after is time or a Basal Eurasian unlike the type in Stuttgart are two possibilities. Excellent work that table. Can You please explain me a thing. How Z2105 and Z2103 are related? What SNP is more old? Do for example all people Z2105+ automatically have Z2103? Z2105 and Z2103 are two different SNPs of the same haplogroup: R1b1a2a2. So, everyone with Z2105 gas Z2103. Nice work. I think most of the French samples (Lacan) which are I2a are actually M26; predicted by STR pattern. There is a list in supp data in Gamba. "I have no idea where this Basal Eurasian rich Near Easterners lived. It might have been east of the Caspian, but why? Wouldn't Basal Eurasian ancestry peak closer to Arabia? My feeling is that many of them came from Mesopotamia, because I'd say that's the only place outside of Arabia where Basal Eurasian ancestry reaches high levels. This is of course also where most people place the origins of the Maikop culture." Yes, it does look like the Western part of the NE had a much less Basal Eurasian type of ancestry than further east or south, where the "Mediterranean" components are missing. So yes, I agree that Mesopotamia might be the ultimate place of origin of this type of admixture in Georgians and Yamnaya. But the reason to place the more immediate origin further east (Iran or Central Asia) is that it seemed to arrive together with high levels of ANE. And there is no reason to think that ANE was present in Mesopotamia (or Arabia) prior to the late Neolithic (and even then at low levels). So the most likely scenario would be people from Mesopotamia moving east in the 7th millennium BC and mixing with ANE populations. And then those populations from the east moving west in the 5th millennium BC and later. See, the problem is that ANE reaches much higher levels in the North Caucasus and, until recently, on the steppe, than anywhere in Iran except maybe the far east. Also, there's no guarantee that ANE was always at the high levels that it is today in South Central Asia. It might have risen there sharply after the Neolithic. So there's a good chance that the so called teal component first came into being among the Maikop people, who might have been a mixture of Mesopotamian migrants and native North Caucasians. And the reason it also reaches high levels among South Central Asians might be because of Indo-Iranians migrations there from the Ural and Asian steppes. But for that model to work we need almost pure ANE both in the North Caucasus and in the Urals-Kazakh steppe. I find it quite unlikely in the North Caucasus (not impossible, but strange). In the Kazakh steppe I do find it quite possible, but then they should have migrated south before any Western Steppe people arrived bringing European ancestry. So all in all, it's a complicated model only to try to prove that ANE was exclusively in the steppe until the Late Neolithic, which in itself doesn't make too much sense. But let's agree to disagree about this, because it's too long discussing the same issue. Let's wait for some ancient DNA to prove or disprove it. But my guess posits any N - S movement to have only ocuured via the caucasus. After the holocene desertification, Central Kazakhstan was a void, a desert, not crossed until late M3. The model is flawed badly. Uh of which BC period? As is its written- start of holocene to M3. "The Armenian has the characteristics of all it's neighbouring nations so for me it is obvious that it is product of the region where it evolved. In another place there would be no Armenian there would be something different. So all that Balkanic stuff is a nonsense for me. Even if some bearers of IE came from Balkans they came long before 1200 BC, and not after it." What I wonder is if you have a mountainous or otherwise low population density region with just a few HGs or shepherds and then some time later people somewhere develop copper working and there is copper in that mountainous region what is likely to happen? The most likely to me is miners/artisans move into the region and mix with the local mountain mamas to create a new people. If the same thing happened in two reasonably close regions (e.g. east and west of the Black Sea) then there might be a physical similarity between the two new populations which lead to people imagining a direct connection between the two i.e. miners from region x going to regions y and z and both marrying similar looking mountain mamas so the two new populations look similar. The thing about that is in the context of the copper age the regions in question might quite suddenly go from low population mountainous backwaters to relatively densely populated and wealthy. This is truly interesting. We know that EHG and MA1 are symmetrically related to Karitiana (f4(Karelia_HG, MA1; Karitiana, Chimp) = -0.00014 (Z=-0.2)). Yamnaya are more closely related to Karitiana than are MA1 and EHG. Therefore the near-Eastern ancestors of the Yamnaya must have been even more closely related to Karitiana. This makes sense since the ANE in Karitiana is likely to have come from Asia rather than from Europe. This in turn implies that the near-Eastern ancestors must have either had even more ANE than the EHG or that they had some other component that made them more similar to Karitiana. The near-Eastern ancestors would have had much more ANE than present-day Armenians, Georgians or Iranians. It will be interesting to see which of the present-day and ancient populations are closer to Karitiana than MA1. I have created a file to calculate D statistics of the form D(MA1, Pop; Karitiana, Chimp). I hope Davidski or some one else has the time to calculate these. Thats interesting. But how do you suppose such as pure ANE population existed south of the Caucasus & eastward to Iran in such post-Neolithic times. Perhaps hunter-gatherers existed in southern Kazakhstan ? BUt how would they spill over into such a wide-ranging expansion ? But I see the points Balaji and Alberto make. How can - at the same time - EHG received some Near Eastern admixture (different to that in EEF but also basal Eurasian) to become Yamnaya, and at the same time not decrease their ANE level ? The two phenomena must be linked. And it cannot have come from the Levant. How about the North Caucasus where ANE still peaks at almost 30%? Well, definitely - it must certainly have been in Nth Caucasus. What we need to exclude is that it didn;t arrive from the south Caucasus, and that a hypothetical ANE / 'other Basal Eurasian' population didn;t exist from Georgia to sth Kazakhstan. No surprises there. As expected, Yamnaya behave like a West Eurasian pop. Well Armenian mountains are not very high in some places and they are some plains that can harbour a lot of farmer population. So the newcomers were not majority. An active dominant minority. Some 70% percent of Armenian patrilinear genes are from Neolithic period. The amount of ANE is even lower. Yes there was a demographic crisis after the fall of Kur-Arax culture but it didn't last very long. But You are right about the reasons of confusion. Back in Greek period there was a many cultural traits that united Anatolian ( even some Balkanic people ) to Armenians. They were worshipping Mother Goddess. A cult of Mithra was widespread. Many similar rituals. The well known Phrygian cap that is present on all representation of Roman Mithra was also widespread in Armenia (Herodotus speaks about same clothes). In fact this form of cap comes from more deep past. The phonetic system of languages was similar. Armenian and Georgian has basically the same phonemes and a foreigner will think that they sound similar. But as I said before in this thread there was another reason to give Armenians and Phrygians the same origin. And it is related to the Mushkis attested in Assyrian time. Thank you for the D statistics. Haak must have made a mistake in reporting a negative value for the f4 statistic instead of a positive one. Your results look more reasonable. It is nice that you have reproduced the symmetric relation of Karitiana to EHG and MA1, D(MA1,EHG;Karitiana,Chimp)=-0.0002 (z=-0.03). It will be interesting to look at D(MA1,EHG;Pop,Chimp) for all available populations. This statistic should be close to 0 for all populations which have neither ANE nor WHG. It is also known to be 0 for populations with only ANE such as Karitiana. It should be negative in populations with WHG/UHG in proportion to the amount of WHG/UHG and thus may serve as a measure of this component. I have created a file to calculate these statistics. "It will be interesting to look at D(MA1,EHG;Pop,Chimp) for all available populations." I'd like to see South-Central Asians as "Pop" first. Yes, that f4 stat was probably a mistake, it doesn't make sense. BTW, in your current K8, how does MA1 score? Does it show significant WHG or still mostly ANE? MA1 is 15% WHG from memory, and clusters just west of the ANE dot. UHG in West and South Asia could be why they're closer to EHG than to MA1. Yeah, plus EHG are much younger than MA1, so their ANE is closer to that of the post-LGM ANE populations that contributed gene flow to all modern populations. MA1 was very useful when it first came out, but to be honest it's not even a very good ANE reference, because it's just so old. Thank you Davidski. I agree with you that the age of MA1 is what makes D(MA1,EHG;Pop,Chimp) negative for all present-day populations. Nevertheless, the most negative statistics are for Europeans, followed by Middle Easterners and then by Central Asians, South Asians and East Asians, Africans and Oceanians. The numbers do serve as a relative measure of WHG/UHG. The statistics indicate that the level of WHG/UHG is quite low in South Asia, especially in India where no population except Gujarati B has a z value more than 3. D(WHG,EHG;Pop,Chimp) will be another interesting thing to look at. This should be positive for Sardinians and Basques. It should be negative for some European and Middle Eastern populations and positive for others. The file for this calculation is below. For those with a interest in older runs, Dodecad k7b & Eurogenes K7. In the first graph, the populations with relatively more WHG relatedness than would be expected from their EHG,MA1 stat above the line. These usually have direct relatedness / sharing to Loschbour, like LaBrana1. While those with more EHG relatedness than would be expected from their EHG,MA1 stats are below the line. Such as Yamnaya. Interesting to see that Amerindians are mildly below the line (but not unexpected from the Karitiana EHG,MA1 stat). South Asians just look like they fall around the line. These are very small differences though. Thanks again Davidski and thanks Matt. D(WHG,EHG;Pop,Chimp) is positive for all Europeans and positive also for Near Easterners not from the Caucasus. It is negative for all other populations. Therefore it appears that there is some WHG/UHG in Europe and the Near East but that this component is virtually absent elsewhere. Just to complete the comparisons, can we also do D(WHG,MA1;Pop,Chimp)? The file is below. Around what percent WHG do you think ENF and or BedouinA is? I know you need a very basal Eurasian genome to be sure, but what's your guess? More WHG than Basal Eurasian? Present-day Central Asia has less ANE than the Hindukush. If all ANE in the Hindukush was from the steppe, it would be inevitable to postulate a subsequent reduction of ANE in Central Asia – which is quite realistic, considering complex population history there. But if that could happen there, why not in Iran, too? If teal people did migrate from southern Central Asia to West Asia they must have carried an R-related haplogroup, and this might have been variants of R1b. R1b is common in Turkmenistan and in Northwestern Iran, but completely absent from Central Iran. However, it is present, at lower frequencies in Northern Iran, along the south Caspian shore. Possibly what we see there is a relic with a reduced frequency. This would mean that the South Caspian area might have had a higher ANE affinity in the past, and perhaps it's still somewhat higher than in the Iranian average. Also, when considering the possibility of a southern ANE migration route, this doesn't necessarily mean that it was as strong as on the steppe. There may have been something inbetween strong ANE like in EHG and no ANE. Perhaps the Kartvelians were from the South Caspian, as Johanna Nichols suggested, and brought along some ANE, which got already diluted on their way westwards. Some of them branched off and crossed the Caucasus near the Caspian sea, where we still find increased incidence of R1b in Lezgins and Tabassarans. And in the Northeastern Caucasus both sources of ANE, the southern one, and the one from the steppe, combined, which explains why ANE is higher there than in Kartvelians. Simon the teal component was introduced onto the steppe by Caucasian women married out to EHG men. Patrilocality + patrilineality + female exogamy = Y-chromosome continuity. If we can assume that R1b began to expand across Europe c. 4000 BC; then this dovetails with the secondary products revolution and the emergence of proto-Bronze age cultures after the collapse of the old world Eneolithic in SEE. That is a common theme in my runs as well. Native Americans prefer Yamnaya over MA1 and EHG. The West Eurasian ancestry of Native Americans must be between MA1 and EHG. More crown or basal like than EHG, but not as much as MA1. Just where Yamnaya sits, pretty much. MA1 looks to be quite Crown Eurasian like, almost like half EHG, half Ust-Ishim, not quite West Eurasian enough. There's really no evidence for movement from West Asia into the Balkans, between 5000BCE and the Bronze Age. Well, there's evidence for a lot of cultural change in SEE, due to certain 'eastern influences', which pre-date anything Yamnaya - like. These appear to be linked to the Caucasus and Anatolia specifically. Whether this extends to genetics or not is to be demonstrated. Re: Balaji's requested f4(Loschbour,MA1;Test,Chimp) stats completing the set, seems more of the expected - Amerinds and Yamnaya are a little more EHG shifted on the Loschbour-EHG axis than would be predicted from their Loschbour-MA1 shift. Re: teal, on another note, I was bored and tested something. I had a go at using the median proprtions from David's K9 analyzed by K8 to "transform" the K9 teal Cental Asian, orange EEF and blue European into K8 ANE, WHG and ENF. By this I mean if a population has X% teal and teal should have around y% ENF, then that population would be predicted to have x*y% ENF, plus whatever ENF can be extracted in the EEF. If you do that on all populations that are in both ADMIXTURE runs, you do find than Iranian Jews and Iraqi Jews "lose" about 10% of their ENF in the transformed K9 compared to the direct K8 comparison. While for Armenians they lose 9% ENF. (For Pathans around 12% "lost" but that some of that is probably in the K9 South Asian component, likewise something may be going on with Levantines and the African components ENF). So, you could say these West Asian populations have more membership in "teal" than their ANE and ENF combination alone would predict. Or put another way looking at K9 teal Central Asian analysed via K8 and EEF via K8 would lead you to slightly underpredict K8 ENF in West Asians. Pretty much all populations lose ENF a little in this transformation but most Europeans are minimally effected by this, and the Sardinians only "lose" 1% ENF, because Europeans/Sardinians don't have that much teal. Yamnaya is basically the same as well in both comparators despite having a lot of teal. That's not really anything *new*, just another manifestation of the way that some divergence in a population related to Iraqi Jews has a very slight disruptive effect on modelling ENF-WHG-ANE. To get the numbers consistent on these West Asians (Iraqi and Iranian Jews and Armenians), you would have to have teal be different than what David found it to be. So instead of being near 60% Near Eastern and 40% ANE, it's 77% Near Eastern, 23% ANE. Which is close, if anything more to a present day Armenian at, which agrees with qpAdm (mass f4 comparisons between test and outgroups plus residual fitting with test as combinations of these outgroups). But then the side effect is that that makes Yamnaya / Caucasians like Lezgin inconsistent between the calculators, and changes the ANE numbers, and was not what was found, so it's hard to circle. I guess this just hints again there may be some way whereby teal is closer to a mix of EHG/ANE with "Basal" than EHG/ANE with ENF and so present day people from the Caucasus (who have more Euro HG admixture through ENF and maybe Yamnaya backflows) can only represent them so well. I don't think f4 ratios are a very reliable way to model recent ancestry. They go back too far in the phylogeny to be able to find more recent components. a) Kartvelians didn't come from S Caspian as we have enough data to theorize that ancient IE People interacted with Sumerians, these IE people came from the S Caspian area and they were associated with the Development of the Samarra culture. b) Lets just be honest here we don't have enough aDNA to theorize anything particularly for the Origins of Language families which will need massive aDNA data from across Europe and Surely Asia. "Lets just be honest here we don't have enough aDNA to theorize anything particularly for the Origins of Language families which will need massive aDNA data from across Europe and Surely Asia." I tend to think the team that made Haak 2015 are going to West and South-Central Asia next. Haak himself showed interest in Armenia and India in interviews. That's the obvious next place to go, after Laz 2014 and Haak 2015. But I have no idea what their actual plans are. According to Nichols, the Mesopotamian loan vocabulary suggests that PIE wasn't close to Mesopotamia and there was no direct interaction with Semitic and Sumerian; the connection was indirect, with at least one intermediary involved. But sure, piles of more aDNA are warmly welcome! "Patrilocality + patrilineality + female exogamy = Y-chromosome continuity"
Yes, that formula sounds logical. But what if one or the other group moved into the area of the other group and then one of them assimilated the other? I can't forget what happened to I1 in the north Germanic area. A haplogroup of non-IE origin became the signature haplogroup of the IE northern Germanics, even though it had not even been a numerous substrate. Well did i mention Nichols on that Simon? Sumerian has good amounts of IE Influence which looks quite direct and PIE seems to have a Semetic Substratum these connections are much stronger than IE and Uralic for sure. I took a closer look at the Sumerian-IE comparisons, and they really aren't as convincing as they seem at first - though there are still some that look pretty solid. 1) Sum. ara “to grind, hand-mill”; Greek aleo “I grind”, Armenian alam “to grind”, Persian ārd, Hindi āṭā “flour”. Well, the ePSD lists all of the following Sumerian meanings for ara: “to grind”; “hand-mill, lower grindstone”; an official; “times (with numbers), ways, way, omen, step (in math)”; a boat part; a designation of milk; a designation of oil. Pokorny lists six different meanings for his PIE root *al-: “further, beyond”; “grow, make”; “wander about”; “burn”; “grind”; and “white, shining”. And since we are not proposing any regular vowel correspondences, we can add everything for *el/ol-: “brown, red”; “rest”; “be mouldy”; “noise”; “destroy”; “drive”; “bad, hungry?”. So you see that gives us a very wide range of possible meanings in both languages to compare, and it is not at all surprising that we should find one that matches. Worse yet, we are comparing r here with PIE *l, so in fact we could use any liquid consonant, expanding the range of possibilities even more. There is also a distinct possibility that the forms actually start with different consonants, so we are comparing PIE *ḫal- with Sum. 'ara. At this point it is hardly worth considering that the PIE root is only attested in Greco-Aryan, or the possible role of sound symbolism. That is a rather extreme example, but it demonstrates what you have to look out for: large semantic and phonological range means greatly increased chance of spurious matches. The usual explanation for these IE forms is ~*nbhros, from the zero grade of the well-established root *nebh- "cloud". This works well for the Latin and Sanskrit but runs into problems in Greek, because the exact cognate is aphros, where the meaning is quite divergent, while the form ombros looks like a plausible descendant but is not at all regular for Greek (maybe borrowed from another IE dialect? - but of course no evidence of that). We could propose some root ~*ombh- having to do with water, which could also incorporate the Sanskrit forms, but that doesn't explain the varying aspiration b/bh or the semantics favouring the "cloud" derivation. All the IE forms have -bh-, but amaru does not, even though it would be in the same context where it is supposedly preserved in ambar. Nor is the meaning close. On the other hand ambar is formally close but the meaning is very distant. So neither of these is a convincing comparison. For the rest of the list beginning with a, agar ~ *agros looks good, apin ~ *woghwnis is an intriguing possibility, armura ~ armaka/arm/eremos matches nicely with the Sanskrit form (the first syllable at least) but doesn't really work with the German or Greek, and ašte ~ asta is semantically broad and restricted to Indo-Iranian. Well we need people like you to have a constructional debate there:) unfortunately looks like all linguists are very busy most of the time;) but thank for your suggestions!. Yes but these kind observations are normal as we see in case of Sumerian also where a single root show various applications and in other languages also. True but l to r changes are also normal. *ambh i think is the root and the root is at least comparable with Sumerian ambar but the lack of bh- in Amaru is a short coming yes but comparable. Thanks again Davidski for the D statistics. The D(WHG,EHG:Pop,Chimp) statistics show that there has been significant change in Europe even since the Iron Age, This is in addition to all the changes described by Haak. Here are some selected D statistics The first number is the D statistic and the second the z value. The ANE in Central Europe peaked after the arrival of Corded Ware and has decreased steadily since then even after the Iron Age. 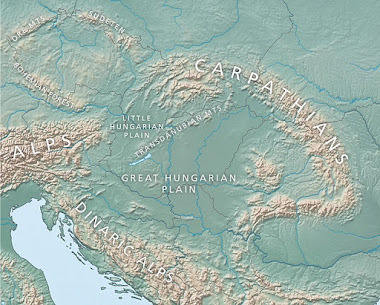 In Eastern Europe, populations like EHG and Yamnaya were largely replaced by migrants from the West. Below are selected statistics of the form D(WHG,MA1;Pop,Chimp). Populations from India have close to a 0 value for this statistic. But Native Americans like Mixe have a significantly negative value because they have ANE which prefers MA1 to WHG. The populations from India also have ANE which should have caused negative values for these statistics. Is the 0 value because this is balanced by WHG/UHG? I believe that WHG/UHG in India is 0. Instead the Indian populations have BEA and BEA has greater affinity for WHG than for MA1. WHG/UHG levels in India can't be 0 because Indians have West Eurasian ancestry. We can easily see this in their uniparental markers. Any West Eurasian migration would've brought plenty of WHG/UHG to India. "The ANE in Central Europe peaked after the arrival of Corded Ware and has decreased steadily since then even after the Iron Age. In Eastern Europe, populations like EHG and Yamnaya were largely replaced by migrants from the West." Mike, the last major "back migration" of Central Europeans to the PIE homeland was the movement of German Mennonites to the Volga region. Are you also going to use them as an argument against the steppe hypothesis? Just combine the evidnece of archaeological and genetic "retreat" with propper Dating of Northern IE languages, and it's easy to see that something rather different occurred to that commonly espoused. There was a major migration from the steppe to Northern and Central Europe during the Late Neolithic/Early Bronze Age. This had to have been accompanied by a language shift. Large migrations resulting in population replacements always are, and in this case we can also see a major change in archeological culture. But this was the last major migration into the region. So this is it, unless you invoke some special pleading to get Indo-European languages up north after the Early Bronze Age. It looks like a lost cause to me. Why bother? An interesting thing that I found in the D statistics that Davidski provided is the relation between MA1 and ENA populations and EHG and the same populations. Below are selected statistics of D(WHG,MA1;Pop,Chimp). Both Oceanisan and East Asian populations are equally related to WHG and MA1. This was also found by Lazaridis. Below are D(WHG,EHG;Pop,Chimp) for the same populations as above. Oceanians are equally related to WHG and EHG. But East Asians prefer EHG. This could be due to East Asian gene flow into EHG. Another possibility is ANE gene flow into Eaat Asians. If there was East Asian gene flow into EHG, this should have made the Oceanian D statistics more negative since Oceanians are also ENA. If there was ANE gene flow into East Asians, the D(WHG,MA1,Pop,Chimp) statistics should have been more negative. Both hypothesis have difficulties but I favor the hypothesis of ANE gene flow into East Asians. It could be that a small amount of such gene flow occurred in the Holocene much after the time of MA1, resulting in D(WHG,MA1;Pop,Chimp) not being able to detect this. Perhaps D statistics of the form D(WHG,Samara_HG;Pop,Chimp) and D(WHG,Karelia_HG;Pop,Chimp) will provide some information on this. There are some small differences between Samara_HG and Karelia_HG. I have not created a file for this but all that has to done is to replace EHG with Samara_HG or Karelia_HG.